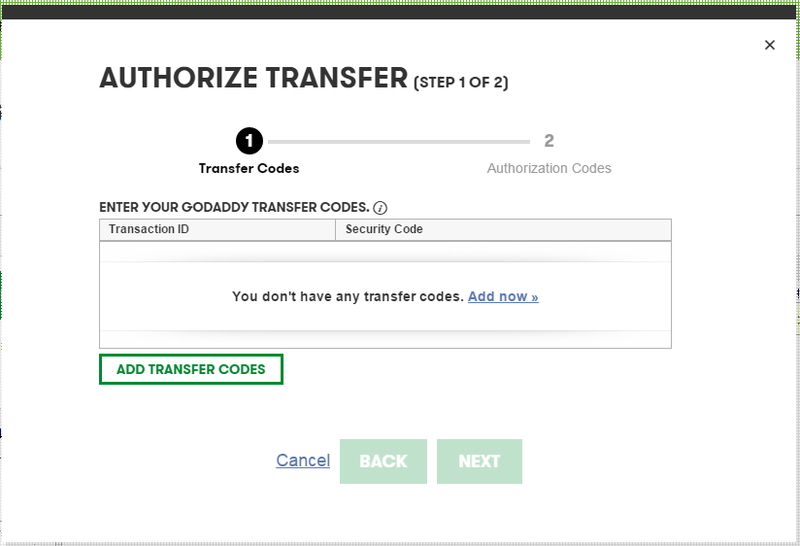 Transfer my domain cocold.com in Godaddy, I enter Transaction ID and Security Code tips 'This transfer has already been accepted'. And the Status is Processing transfer. Admin Email is nocontactsfound@secureserver.net. Have you added the Authorization code? 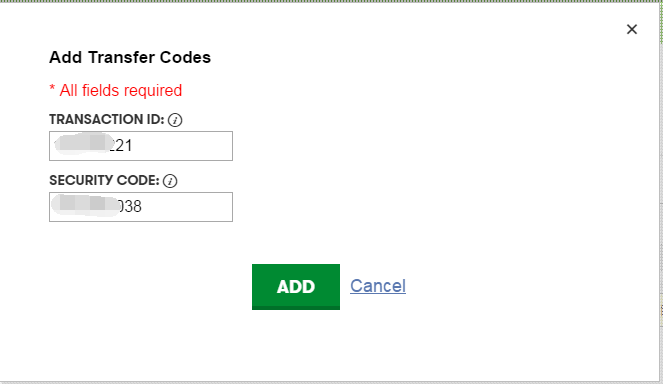 You will need to enter in the Authorization code / EPP code from your previous registrar, We can enter those 2 codes you got from us, but without that code we cannot add the domain to our system. but I enter Transaction ID and Security Code tips 'This transfer has already been accepted'. 2 codes will not fully accept the transfer. You would need to enter 3 codes in total to transfer a domain name. Was this domain transferred from another company? or is it from 1 godaddy account to another godaddy account? 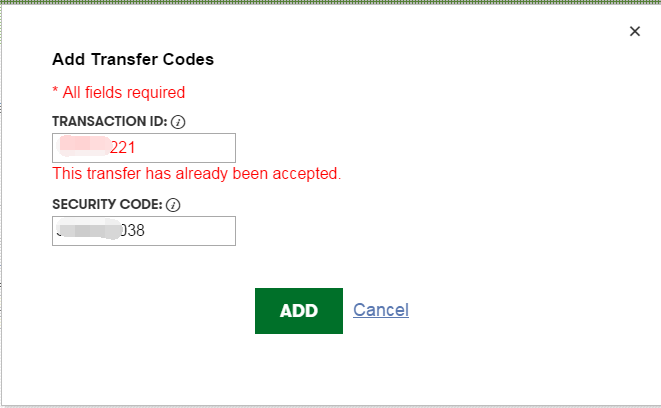 Ok, if you go to the transfers page, it would give a link to enter those codes, once you enter the codes it will give you *processing transfer*, and it can take up to 5-7 days to complete. then you have already entered the details needed. what is your customer number and 4 digit pin? Thank you, what is the 4 digit pin? 3. On the left under your name it will display PIN and show four blue asterisk. Click on the asterisk. 4. The PIN is shown. Looks like we will need to create an escalation here. One moment to create this. Ok, your incident number here is 000000001. keep this for your records, you'll have an email at your xxxx@icoa.cn email. We will notify you when this has been updated. give this up to 24-72 hours to complete. You need to wait til we email you. Have a great rest of your day/weekend. Thank you for using Live Chat. To help us serve you better, please take a moment to complete a short survey. It will display as you close the chat by clicking the chat bubble at the top right of the screen.